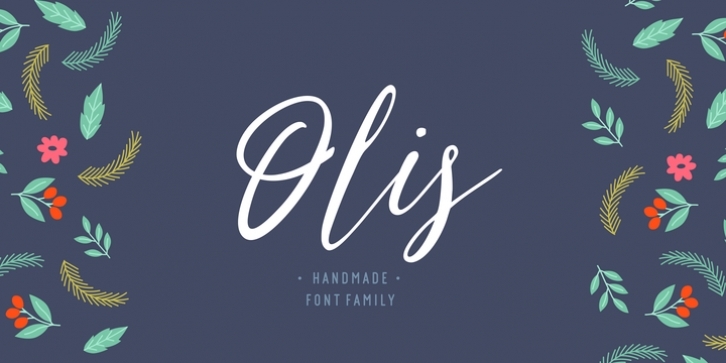 Olis is a stylish, fresh new handwritten script. Olis comes with two weights, numerals, punctuations and some variations on character include OpenType alternates, and common ligatures. It helps set your designs apart by adding a custom-lettered look. You will also find that its initial and terminal letters can enhance your designs in new and creative ways. Hand-drawn leaves, plants, flowers, as well as large and small snowflakes add original detail while complementing the font perfectly.